I have a little more time now for doing things that require smart casual attire -- meals out, concerts, socializing. Yay! I finally get to wear my clothes. It is still in the 90s here, the hottest summer on record, so I am dressing accordingly yet keeping the colors neutral and more pointed towards fall. Even the most cursory look shows that I rely on certain formulas (hello jeans + tee?) ...any suggestions how to keep things fresh? Had so much fun, did a lot of shopping -- I'll be asking for help with my purchases later. #1 -- Worn to the Berkeley Rep's performance of Chinglish -- highly recommended! This is a new silhouette for me so I took practice pictures before I left (first 3). The sheer sleeveless tunic/dress is from Vince. Picture on far right is how I actually styled it (less jewelry but a true statement piece in silver and gemstones, hand-made). However it's not a great picture. #2 -- Worn to Opening Night at the San Francisco Opera. Lots of long dresses! The mayor and Nancy Pelosi were there. 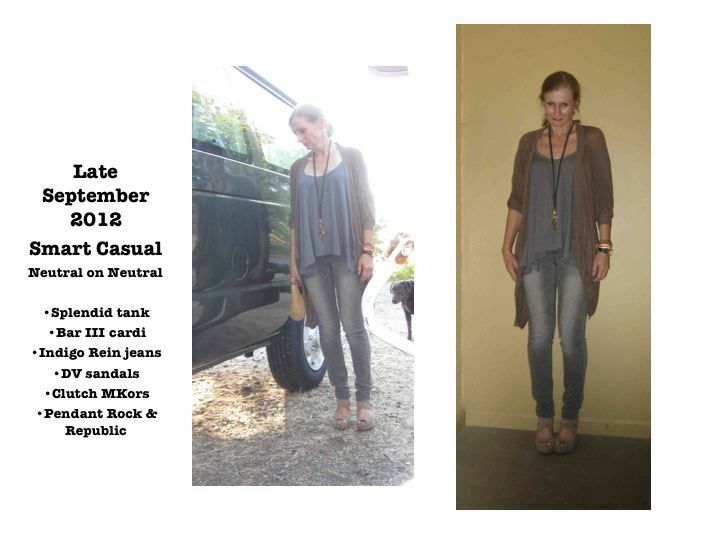 #3 -- A collage of my casual looks, which I would classify as smart casual. Outfit details next, for those interested and with time. Thanks for looking and commenting! Among the trends from spring, tonal dressing is something that still feels "right" to me. 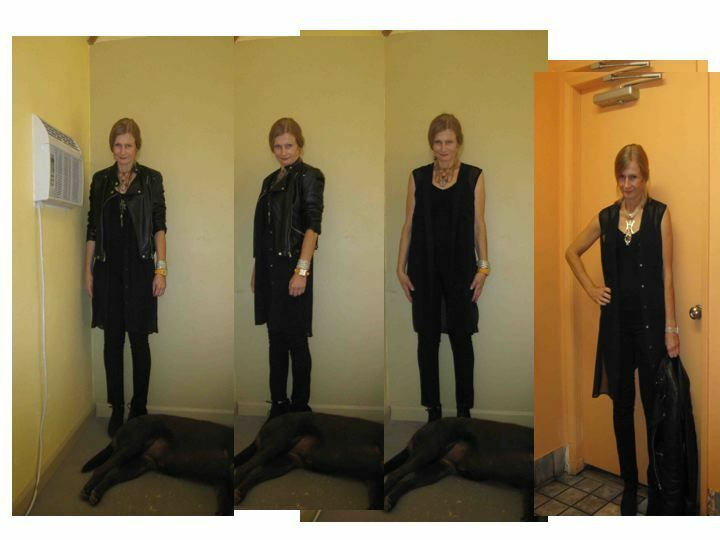 Pictures 2 -- Re-mix outfit. Thoughts on the collage approach? I always photograph a few shots with and without flash. E.g., flash image is on the left, non-flash on the right in pic #1. The real colors are somewhere between each picture. Made with powerpoint then exported to jpeg. For me, easier and quicker than picasa.